Jean Knapp Rentals/ Ogunquit Maine Weekly Vacation Rentals/ Maine Ogunquit Beach Rentals? ROOMY 4 bedroom, 2 Bath with LARGE yard! Only a FEW Weeks left! 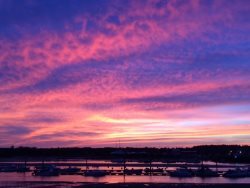 Wells Harbor -Atlantic Ave - Harborside- breathtaking Sunsets! *NOTE: The "Total Price" in the Instant Quote box includes your REFUNDABLE security deposit of $500, the 9% Maine State Lodging Tax, and any other associated fees. New to Ogunquit's Summer rental market! A few Summer weeks are still available! This is the most perfect location-steps to the Marginal Way and directly between Ogunquit’s Little beach and Perkins Cove this large colonial home is prepared to help you create memories of SUMMER vacations in Ogunquit, There's so much to do, or not do. The choice is yours. Dining, scenic strolls, entertainment, BEACHES, and quaint shops await you! Recent renovations brought this home to a new level of comfort! Enter the side porch door to a great space to leave the beach behind! The spacious kitchen allows for ease of meal preparation for a larger group and has a large island, plenty of counters, and new appliances. Don't miss the conversations from the roomy dining room open to the kitchen. Nearby is the fabulous Great room complete with oversized flat screen and Cable TV and WiFi . Fireplace is decorative only at this time. There's a lovely reading and game nook too! You'll love the space! The first floor also has the first of two full bathrooms - complete with a large SHOWER. Take the grand staircase to the second floor. The bedrooms include a Master bedroom with a King Sized bed, another Master with a Queen Sized bedroom, and two bedrooms with 2 Twin beds in each. The Full bathroom with tub/shower is situated at the top of the stairs. and offers 4 bedrooms and the second bathroom (full tub/shower) . See bedding configuration below. Bring the family! Stroll to Marginal Way. Meet friends for dinner and drinks close by, or simply relax in the large yard for small picnics after the beach day.